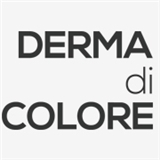 Derma di Colore (New York) - Book Appointment Online! Dr. Carlos Charles founded Derma di Colore, a comprehensive dermatology practice that addresses the treatment of dermatologic problems of all skin types with an interest in the treatment of darker skin tones. DdC provides comprehensive dermatologic care with the latest medical and cosmetic therapies. Please note: -We do not participate with any Exchange Plans at this time. -Some insurance plans require a referral to see a specialist. Please check before making your appointment. We look forward to working with you! Doctor Asrani is awesome and so is her medical assistant. However, the office manager is condescending in tone and it rubbed me the wrong way. She told me that I should “know” that prescriptions always take until the end of the day to be sent to the pharmacy; this is not true. It has ALWAYS been sent automatically, electronically through the computer. I am disappointed in the office manager’s attitude and when I confronted her, she didn’t even offer an apology. Honest, knowledgeable, gentle and caring. Not trying to sell anything. Not out to make a buck, just an honest living as a doctor. This is someone I can trust and will always go back to.